GoGreen Hemp launches new CBD product line, Melatonin CBD Gel Capsules. "We are excited about the launch of our newest product, GoGreen Hemp CBD Soft Gel Capsules - which has nearly four times higher bioavailability of all our products," states President, Romas Marcinkevicius. GoGreen Hemp ™ an innovative provider of one of the most affordable CBD product lines on the market has just released their brand new Melatonin CBD gel capsules. Cannabidiol, better known as CBD is the non-intoxicating hemp extract of the hemp plant, which has been linked to many positive health results in various preliminary studies. These cannabinoid full spectrum gel capsules have the highest bioavailability out of all GoGreen Hemp products and is perfect for individuals looking for a better night's rest. Not only can the product provide relief but it is one of the only CBD gel capsules on the market that includes Melatonin. GoGreen Hemp CBD Soft Gel Capsules With Melatonin is a full spectrum pharmaceutical soft grade gel capsule that has the highest bioavailability out of all of their products (nearly four times higher), with 25 mg of water-soluble CBD oil and 1 mg of Melatonin per soft gel. This formula is truly synergistic. leveraging multiple botanical actives through various pathways to help accomplish a better quality of sleep. In addition this product is non-GMO, pharmaceutical grade, manufactured in the USA and derived from organically grown hemp. 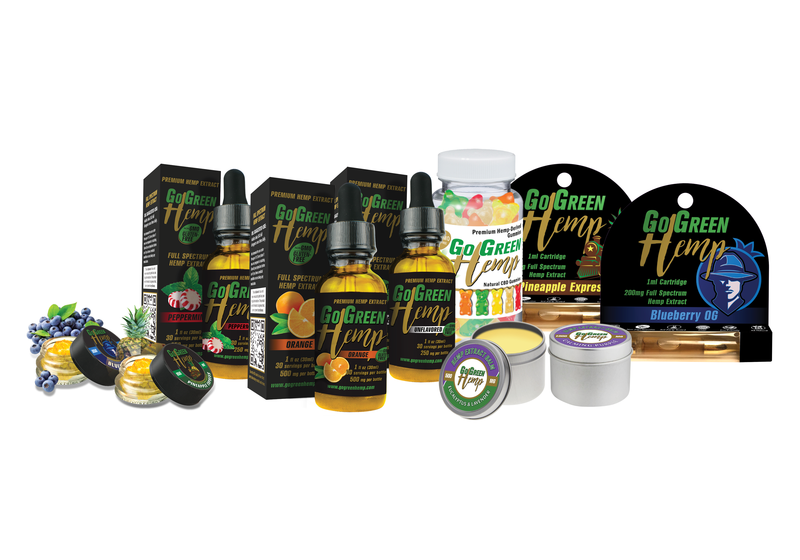 As one of the few companies introducing a CBD gel capsule with Melatonin, GoGreen Hemp is leading the way in the industry with their innovation and wide range of products. According to The National Institutes of Health “an estimated 50 to 70 million Americans chronically suffer from a sleep or circadian disorder” and that doesn’t include those who go through jet lag or other random events changing one’s sleep schedule. CBD alone has been shown to improve pain, stress, anxiety and many other symptoms which are many times underlying issues of insomnia. As well as CBD, Melatonin is known to help symptoms of insomnia and other sleeping issues, therefore combining Melatonin with CBD creates a product which is the best of both worlds in one soft gel capsule. The mixture of CBD and Melatonin is expected to make positive progress and increase the likelihood of helping those who are suffering. A study in 2008 showed that the intake of CBD may help dwindle unrevealed causes of insomnia such as stress and anxiety and while it is not a clinically verified form of treatment it is showing positive results. Lastly Melatonin is used to improve the sleep cycle of individuals who are blind as well as those suffering from various sleep issues. 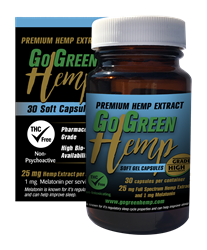 The GoGreen Hemp Melatonin Gel Capsules run at a competitive price of $64.99 and include thirty gel capsules in each container. With a recommended daily dosage of one soft gel capsule a day, the container can last approximately a month and can help you get a better night’s rest.